Moving to Redwood City is something many people consider each year for a variety of reasons. If you are too, we did some research and created this article to help you make a decision. How big is Redwood City? The population of Redwood City is about 85,000 and most of the people are White or Hispanic, with about 10% Asian, some AfricanAmericans, Native Americans and Pacific Islanders. The median age is about 36 years and there are over 18,000 families. What is the cost of housing? The median home value in Redwood City is about $1.3 million, and the average rent is about $3,000. You might find a condo for around $500,000 to purchase, and there also may be mobile homes for less than that. For rentals, there are some studios for approximately $2,000 a month, or something like an in-law apt. for $1450. There may also be shared rooms for $1,000 or less. The weather in Redwood City is warm in summers and cool with some rain in winters. The high in summer will probably be not much more than 90 typically, and the typical winter temperature is about 60 degrees. Spring and fall are the seasons with very pleasant weather which is usually dry and temperate. Redwood City is warmer than San Francisco, and a little cooler than San Jose in summer. Redwood City is not a large metro area by any stretch, but it does have a slew of restaurants; here are some of the top-rated ones. The Redwood City public schools are rated slightly above average by Great Schools. For adults, there is Canada College which is a community college located in Redwood City. Foothill College is located in Los Altos, which is fairly close by and DeAnza is not too far south in Cupertino. Are there places of worship? Is there access to nature? Redwood City is south of San Francisco about 24 miles, which doesn’t sound that far, but the peninsula its on is much less developed than San Francisco. Open space is fairly abundant and there are natural areas like Purisma Creek Redwoods Open Space Preserve, Pescadero Creek Park, Butano State Park, Tunitas Open Space and Monte Bello Open Space Preserve. Redwood City also includes land which borders the San Francisco Bay, and there is a park right next to it — Bair Island State Marine Park. Going west, you will find low mountains, open space, forest and even some agricultural land until you hit the coast. If you drive up 101 and head west on 92, you will cross over 280 and eventually wind up at Half Moon Bay. This area is coastal with small or very small towns and you can go to restaurants with seafood or find some expansive beaches which are generally not very crowded. The views are beautiful, and you will see open sky, the Pacific Ocean and perhaps some wildlife. In a sense, moving to Redwood City is moving closer to the ocean and coast because it is easy to get there even though the city itself is fairly developed. Redwood City is near Menlo Park and Palo Alto and these places also have many parks and open spaces. Moving to Redwood City means you will be closer to Silicon Valley, and all the high-tech companies. Facebook, Yahoo, Oracle — these are some of the biggest names in that industry and they are very close by. The Century 20 in downtown Redwood city is a cineplex which shows mainstream movies you would expect to see anywhere in the country. The Fox Theater in downtown Redwood City is where you can see live music and some theatrical shows. In Redwood City, there is a place called sports House, where there are facilities for basketball, soccer, baseball, lacrosse Volleyball and flag football. A city department offers adult sports leagues for basketball, volleyball, and slow pitch softball. If you like martial arts, there is an Academy of Shaolin System. The Redwood City Martial Arts Center is also available. In nearby Belmont, there is a Planet Granite climbing gym. There are also wetlands in this area, like the Corkscrew Slough where you can kayak for miles, though you will need to be well informed of the water conditions in order to be safe. Moving to Redwood City is not likely to disappoint; it has far more to offer than one might imagine for a city of its size. What is near Redwood City? 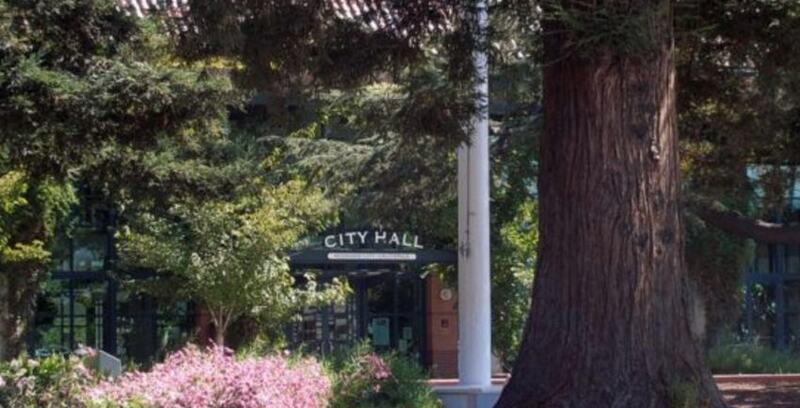 So, after reading this article, are you still interested in moving to Redwood City? Unique History of StoragePRO Self-Storage of Hayward! Valley Storage in the Spotlight!